Ikan recently introduced a new soft panel LED in their Onyx range. 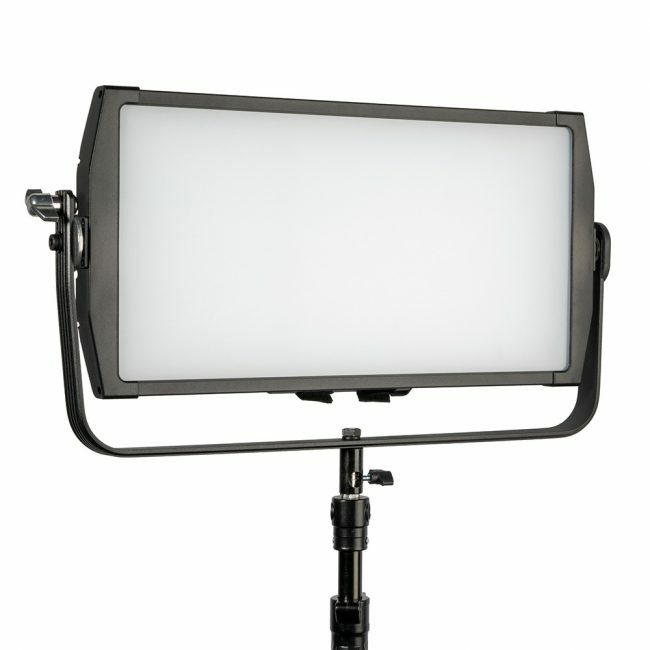 Dubbed the Ikan Digital Color ONYX 1×2 RGBW Soft Panel LED, the new light is designed for a wide range of professional video production applications from commercials, corporate gigs, to music videos and independent narrative dramas. The RGB Soft Panel game has seen quite a few entrants lately, apart from the new ONYX such as the new 1×1 GEMINI from Litepanels, who already have the bigger 1×2 GEMINI, and also the soon to be released Aputure RGB Panel. 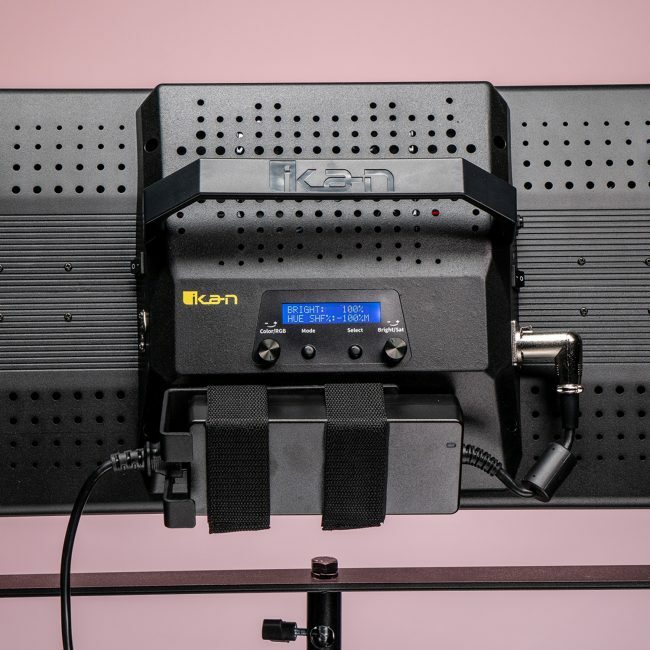 The new ONYX 1×2 Soft Panel from Ikan is an RGBWA LED panel and it includes five color modes designed to facilitate the latest creative lighting and professional requirements for an LED panel of this class. The RGBWA Mode allows users to control Red, Green, Blue, LEDs independently. The Amber and White LED’s allow for a more accurate color temperature when reproducing daylight or tungsten lighting. 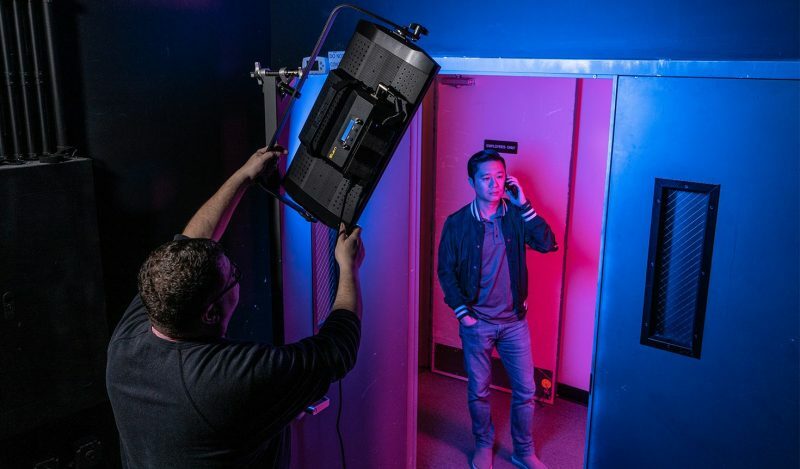 CCT Mode offers a wide color temperature control from 2800K to 10,000K with Hue shift of Magenta/Green adjust for better matching control when using this light with other LED fixtures such as the green tint of office fluorescents or the magenta tint of older LEDs. The ONYX 1×2 Soft Panel also offers saturation control on all the built-in gels. Users can also dim the light down to 10%. The Ikan ONYX 1×2 has a 120 degree beam angle and also comes with a high CRI/TLCI rating of 95, includes 33 different color gels and 8 different built in special effects. Whether you’re recreating lighting, a police car’s flashing lights, or a candle flame the professional can create realistic lighting effects. 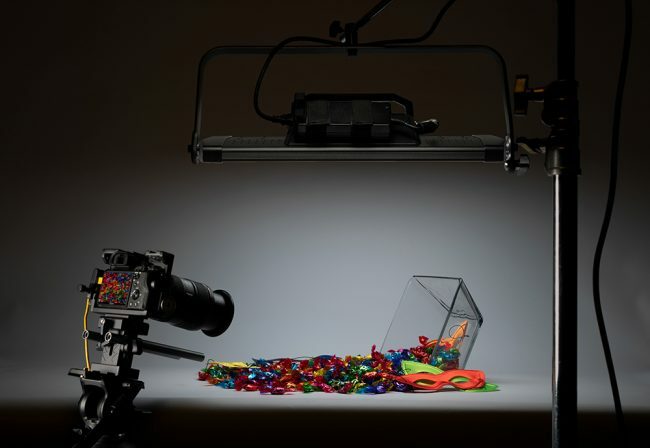 The Half stop diffusor allows the light to gently wrap around the subject and can be quite useful for interview and product shots. The new Ikan ONYX 1×2 Soft Panel is available for $900 US at B&H, which is quite affordable considering the pricing of RBGW Soft panels of this size, so would perfectly suit productions on a more limited budget. To learn more about the new Ikan ONYX 1×2 Digital Color RGB Soft Panel LED and see the specifications head over to Ikan’s website here.